This is a pretty impressive update and one that we'd love to see become the standard for cable TV providers. Verizon has just updated its FiOS app for the iPad, and in the new version, users will be able to watch live TV, right on their tablet. Of course, there are a couple of limitations to the deal. Obviously, you need to be a Verizon FiOS customer for this to work. Assuming you are a FiOS customer, and an iPad owner, you will be able to watch live TV on your tablet while you are on your home network. This will not replace your Slingbox, and won't work when you're away from home. 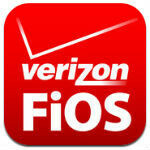 If you want to give it a try, just jump over to the iTunes App Store to grab the Verizon FiOS app. This has been available to Brighthouse Networks / Time Warner subscribers for about a year now.